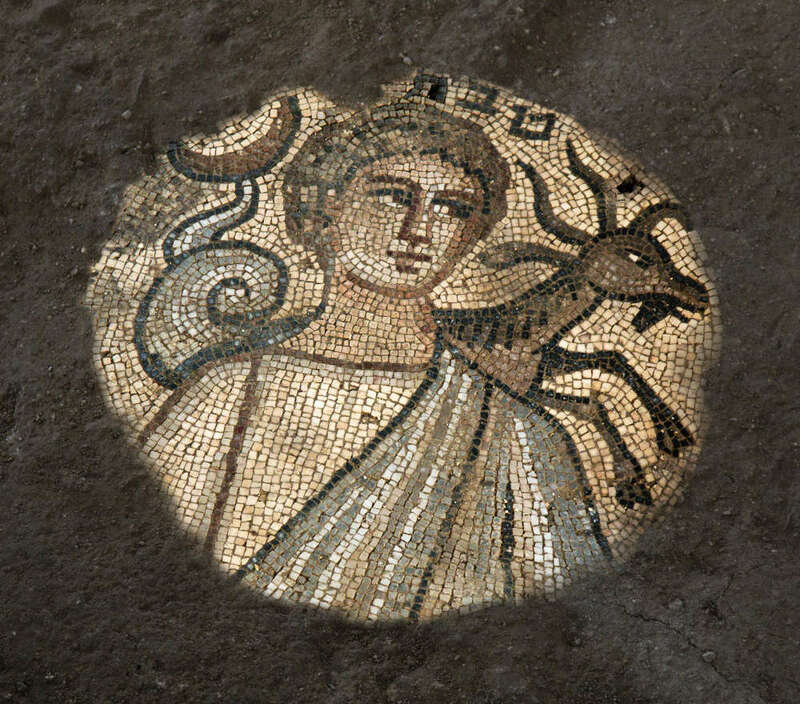 The site, known as Huqoq, contains the most vibrant and diverse collection of mosaics ever found in a synagogue, according to a statement by the research team from University of North Carolina at Chapel Hill. 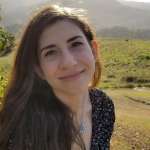 In the six years since the dig began, project lead Professor Jodi Magness and her colleagues have revealed gorgeous tiled panels on the structure’s floor depicting various scenes from the Hebrew Bible and a tableau theorized to document the famous meeting between Alexander the Great and the Jewish high priest. After returning to the site this summer to investigate the synagogue’s north aisle, the team discovered two more stunning panels. The first, labeled “a pole between two” in Hebrew, illustrates a scene from The Book of Numbers, 13:23, wherein scouts sent by Moses – after the Jewish exodus from Egypt – to explore the land of Canaan (the name for an area corresponding to some or all of modern-day Israel, Palestine, Lebanon, Syria, and Jordan) return from their mission bearing bunches of grapes so large and juicy that they had to be carried on a stick by two men. The other panel shows a child leading a roped animal and contains the inscription “a small child shall lead them”, referencing the passage Isaiah 11:6. In addition to these works of art, the team found intact colorfully painted plaster on the synagogue’s columns, a rare sight in such an old structure, and an inscription reading “Amen selah”, which translates to ‘Amen forever’. 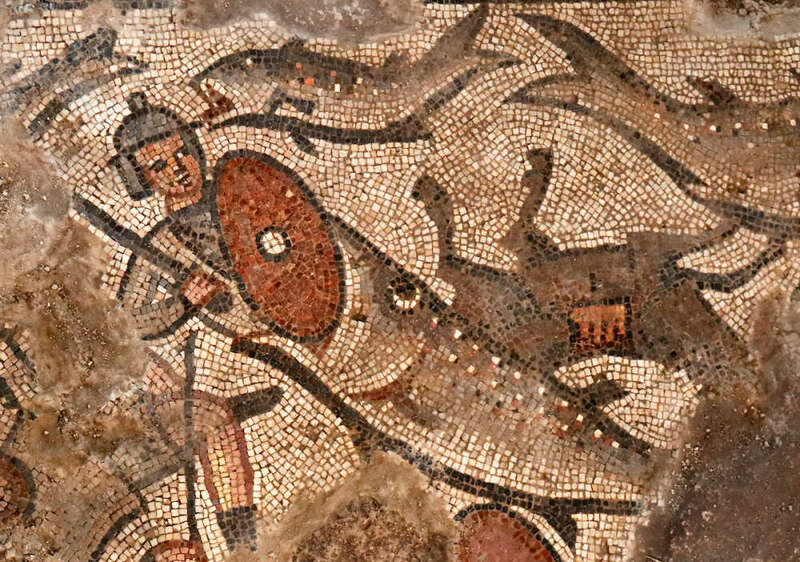 Previously uncovered mosaics, since transported away from the site for closer study and preservation, have shown Noah’s Ark, Jonah, Egyptian soldiers being swept away during the parting of the Red Sea, an intriguing Greek-inspired zodiac cycle, the Tower of Babel, and an assortment of human figures, animals, and mythological creatures. Speaking to National Geographic, Magness confirmed that work will pick up again in the summer of 2019.